DESCRIPTION- MADE IN THE USA. 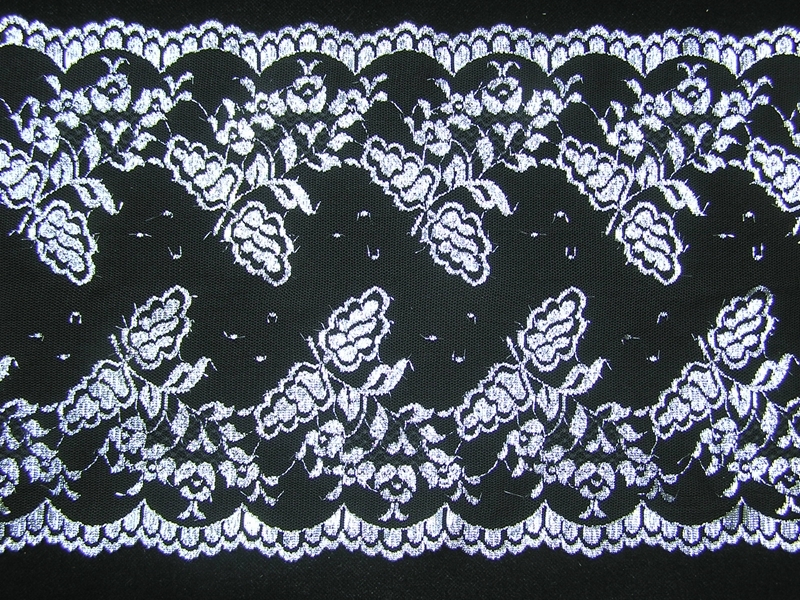 11.625 Inch Flat Double Scalloped Edge Galloon Lace, Black - Silver. 100% Polyester. DESCRIPTION – MADE IN THE USA. 4" Flat Raschel Lace. Made of Polyester and Metalic Silver Lurex.